You are reading an article tagged as a rumor. Read our note from the editor to learn about rumors shared on California Informer. 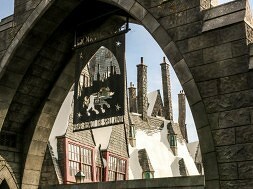 It turns out that Universal Studios Hollywood is currently undergoing something of a renaissance, all thanks to the Boy Who Lived’s imminent arrival this April – which, it just so happens, is the exact same effect that the Wizarding World had over at Universal Orlando Resort when it first debuted six years ago. While last year’s Springfield, USA and Fast & Furious: Supercharged were the first manifestations of this metamorphosis, and while Hogsmeade will be, of course, its apex, it’s now becoming increasingly clear that the aftershocks will be continuing for quite some time in the future – even, perhaps, culminating in a second theme park. Disneyland Resort, it transpires, is also in the midst of a mini-transformation, thanks to the twin events of its 60th anniversary last year and The Walt Disney Company’s recent purchasing of brand-new subsidiaries, most notably Marvel Entertainment (in 2009) and Lucasfilm (2012). All the extra media attention, externally, and potential intellectual properties to mine, internally, have resulted in a bevy of new construction that will soon descend upon the resort’s two parks – just in time, coincidentally, to deal with Universal’s increased competition. There’s no better time to visit the Golden State’s various theme parks, eh? 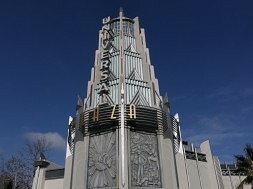 Let’s start at Universal Studios Hollywood, our home base of operations, first. Do you remember House of Horrors, the permanent haunted house featuring Universal’s classic lineup of horror icons that, up until last September, used to be located in Soundstage 13? Shortly after last year’s Halloween Horror Nights came to a close, Screamscape broke the word that, while the attraction would be permanently replaced with shopping and dining options, the idea of a year-round haunt would be transplanted to a nearby area of the park and continue to operate – and, by the way, would also see a major update in its theming, becoming the permanent home to The Walking Dead. On the one hand, this comes as no surprise. 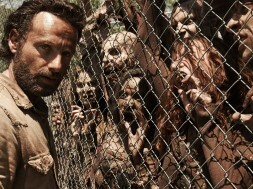 Walking Dead has not only been a major cultural force since it premiered on AMC on Halloween 2010, it’s been a staple at HHN for four years running, with very little doubt that it will return this fall. On the other hand, by having the property be consistently present for so long – a first for the event on either coast – fatigue has more than set in, making a significant portion of the guest fanbase nearly downright hostile (especially when the 2013 Horror Nights opted to devote all of its scare zones to the show, as well as its headlining house). 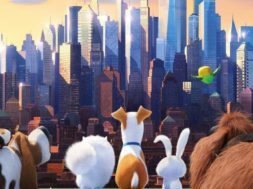 But the appeal of having a newly-redesigned park that features the likes of Harry Potter, Despicable Me, Fast & Furious, and The Walking Dead is undeniable, especially among those segments of the park-going audience that have either never before been to USH or haven’t been there in a long time. 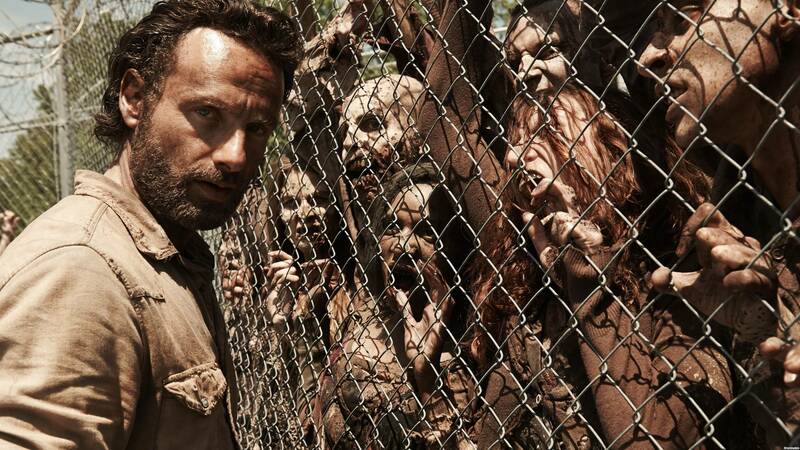 In this regard, a Walking Dead attraction can be viewed as the jewel in Universal’s licensing crown. There is a problem with this scenario, however, and that has to do with timing. 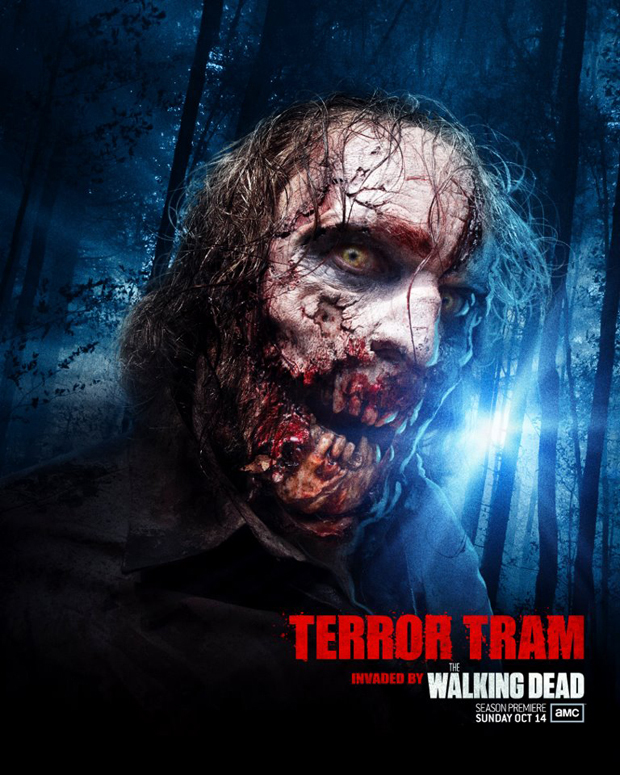 According to both Screamscape and our own sources, the original idea behind the haunt was to have it debut as one of Halloween Horror Nights 26’s houses this September and then have it remain open thereafter, but now Screamscape is reporting that a delay of some six to nine months is to be expected, placing The Walking Dead’s grand opening somewhere around June, at the latest. 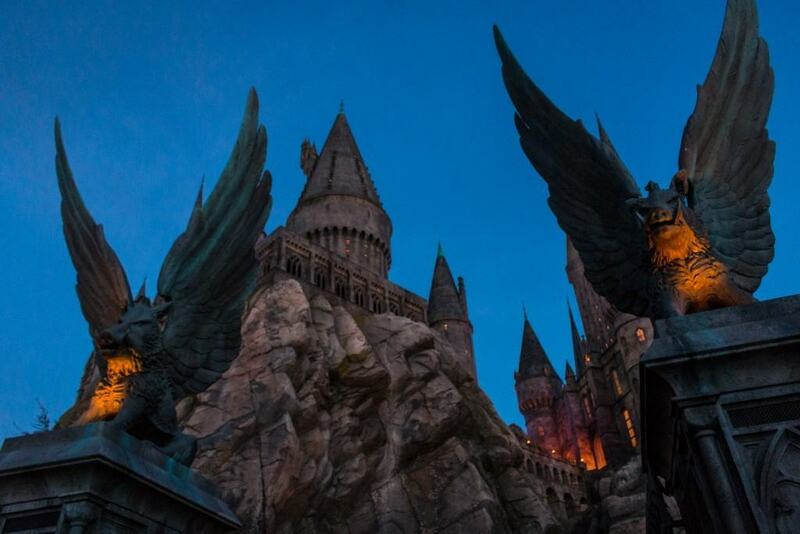 Universal’s Wizarding World of Harry Potter may be the topic on everyone’s minds for this year, but there’s already something looming on the horizon down the road at Disneyland – and, no, it’s not the much-publicized Star Wars Land, believe it or not. 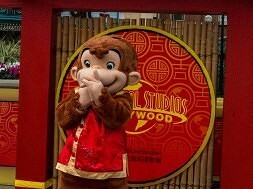 Word has been quietly circulating about a new land based upon the seven thousand characters (or so) from Marvel Comics for the past year-and-a-half, with the initial rumor that it would be placed in the plot of land behind A Bug’s Land, in between Hollywood Land’s Tower of Terror and Cars Land’s Luigi’s Rollickin’ Roadsters (real estate that was originally earmarked for a Monsters, Inc. expansion before budget cuts and shifting priorities changed Disney’s mind, for all those playing along at home). Screamscape is at it again, saying that Marvel Land has, indeed, been greenlit by the House Mouse, and that its designing is well underway. So, what should we expect? 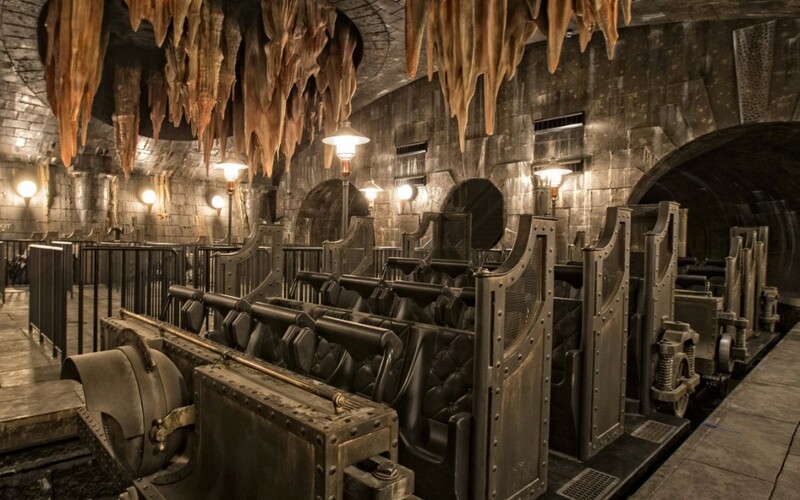 The site claims that one singular, giant E-ticket ride will be the new area’s focus, and we here at California Informer have heard some softly-spoken comparisons to Harry Potter and the Escape from Gringotts be made – though whether these were meant to point to Gringotts’s ride vehicle, specifically, or its overall immersion, generally, we do not know. Given the gauntlet that the Wizarding Worlds have thrown down, however, along with the friendly rivalry with the company’s other big, looming developments (Pandora: The World of Avatar at Orlando and, of course, Star Wars Land on both coasts), it’s doubtless that guests can expect something along these very detailed lines. Color us excited – particularly since Disney, the owner of both Marvel Comics and Marvel Studios, can link its new attractions and dining experiences to the absolutely mammoth Marvel Cinematic Universe. Don’t get too worked up just yet, however – we don’t currently believe Disney will move on Marvel until the much-touted (and -delayed) Star Wars Land opens. Since it’s currently believed that the latter won’t open until 2020 or 2021, don’t expect to see the former until ’23 or ’24, at the very, very earliest. But before we can get to the glories that are sure to be Marvel Land, we first have to make it through a galaxy far, far away. This past weekend, during an ABC special celebrating Disneyland’s 60th anniversary, Disney unveiled some more details – though not many, it has to be said, and what was there was rather ambiguous, given its concept-art nature – about the rides and dining experiences that will greet guests when they step foot into Star Wars Land (or is that the Star Wars Experience? There’s some debate surrounding that name, as you can hear for yourself on the Orlando Informer Podcast). Star Wars fans will be able to pilot the Millennium Falcon for themselves, hop on some sort of dark ride that pits guests “in the middle of a battle between the First Order and the Resistance,” drink at a cantina (no, not that one), and enjoy some type of dinner show. 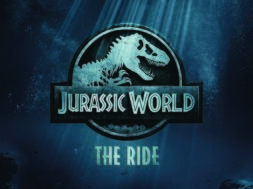 Any kind of clarification here would most definitely be appreciated, and that’s exactly what Screamscape is offering this week (man, those guys are batting a 1000! 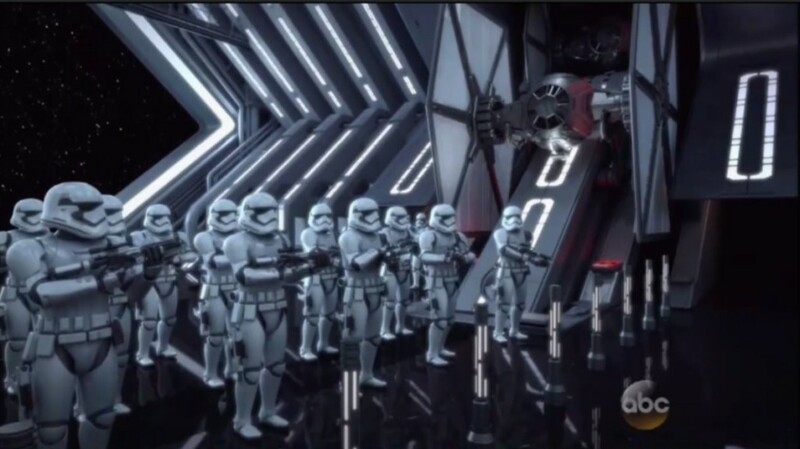 ): according to the site’s sources, that second attraction will utilize a trackless ride vehicle, as Disney has been increasingly wont to do over the past decade, and feature “very detailed” recreations from Star Wars: Episode VII – The Force Awakens, including full-scale TIE and X-wing fighters. But what really is interesting has to do with the allocation of real-estate at Disneyland Resort. As of right now, Star Tours: The Adventures Continue is located in Disneyland’s Tomorrowland (just as it is at every other Disney park outside of Orlando), but Screamscape reports that that may change – the ride may be closed down once Star Wars Land is added on, and then possibly moved on over to the new themed area at a later date, when, perhaps, an expansion will be put into effect (one that Disney World Resort’s Hollywood Studios won’t need, thanks to there being ample land available in the Florida swamp). If true, what would replace Star Tours? 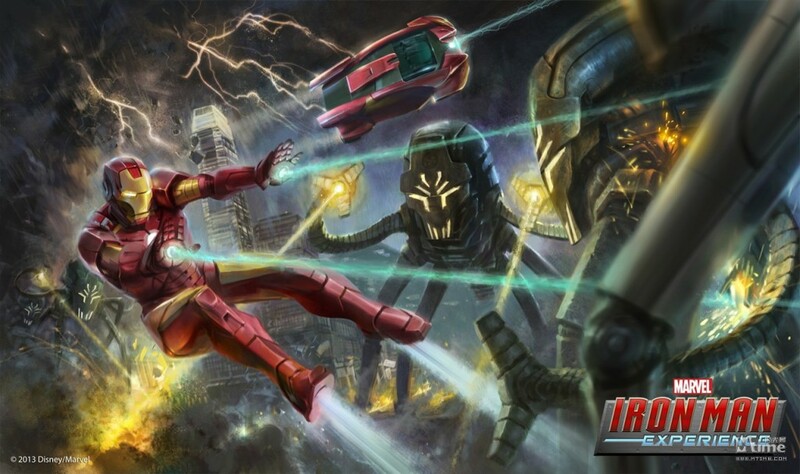 Why, a Marvel ride, of course – supposedly, a clone of the Iron Man Experience, which Hong Kong Disneyland will be receiving later this year (and which is Disney’s first Marvel-based ride). This would kill two birds with one licensed stone: it would get a real Marvel presence in the resort years before Marvel Land would be able to bow, and it would also serve as another experience that can be shipped off to its appropriately-themed home at a later date, thereby opening up that slot for yet another new attraction. next California Informer is on Snapchat – win free merchandise!